I have fond memories of spending girl time with my Mom and my sweet sister Penny. Steam facials is one affair that we would often take part in which involved hanging our heads over a bowl of steaming hot water. My face would feel so amazing after the water vapors hydrated my face and my heart would feel joyful from silly conversations. Here is the recipe for a homemade steam facial that you may want to try. Have fun mix it up and experiment with different flowers to come up with your own a version floral facial. The power of flowers should not be taken for granted this summer. 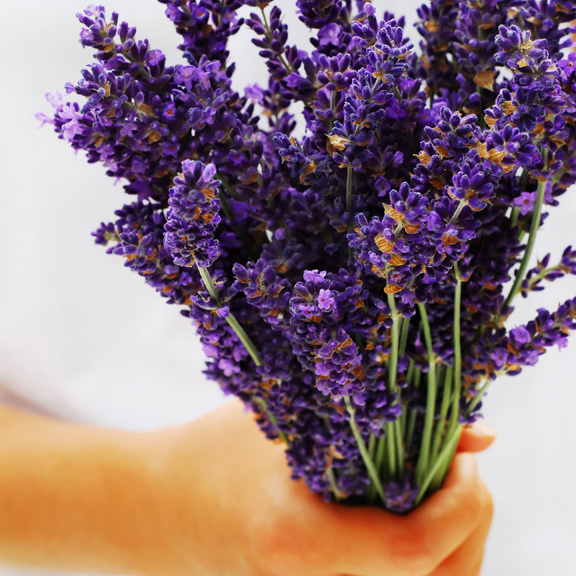 All of the flowers are in full bloom and do wonders to keep your skin soft and hydrated. Bring water to a boil and then remove the pot from the heat, carefully transfer to a large bowl then and add the flower petals, stirring gently. Let the mixture rest for five minutes then lean over the pot, keeping your face about 12 inches off the surface of the water, and drape a towel over your head to trap the steam. Sit for five to ten minutes over the stem then rinse your face with cool water and pat dry. 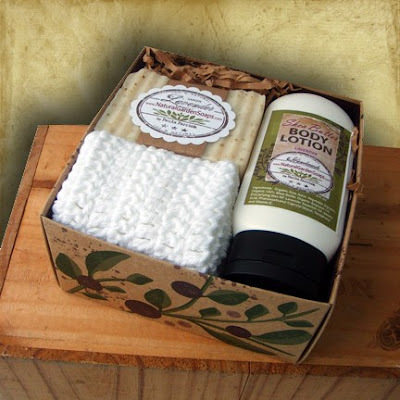 This month I'm giving away a “Home Spa Gift Box” which includes a bar of handmade aromatherapy soap, Shea Butter lotion and a crocheted washcloth. Simply leave a comment during the month of June to enter to WIN. The drawing will be June 30th!!!! seeing as I've just won and received your goods from the last giveaway...I won't be greedy and enter this one too...but I would sure love to now that I can smell your creations! They are divine! and I'm so tempted to build on my humble collection here! I will go ahead and answer to enter anyways....what's it gonna hurt? my favourite flower is hydrangea...those big luscious bulbs are amazing...but for a scented flower...I'd say lilac's all the way! I agree hydrangea and lilac’s are amazing flowers. Of course; you should enter my giveaway every month to WIN my natural skin care products. So, are all of your ingredients natural? You should develop an alum free deodorant...now that would be cool. I'm trying hard to stay away from parfums and chemicals....but it's in everything. I read your interview on Retro Revival's blog...it was great, I love how you have TLC as your final ingredient! That's so true of any artist making any thing by hand. Oh, and your booth is amazing! I'm entering your wonderful giveaway. I have to grow some lavender now. Here in Oregon, the local lavender fields are blooming and it's such an incredible thing to see. Sounds like there's a lavender steam facial in my future - thank you for the idea.